Consumers don’t like bad mobile sites, or even worse, brands not even having a mobile site. While 72 percent of consumers think it’s important for brands to have a mobile-friendly site, fully 96 percent have nonetheless come across a site that wasn’t mobile-friendly, according to a Google study published Tuesday. That consumers are turned off by sites not optimized for smartphones isn’t news to anyone who uses the mobile Web. But marketers need more than anecdotal evidence to get their organizations to invest in the medium, said Google’s head of global mobile sales and strategy Jason Spero. The data come from interviews with 1,088 U.S. adults aged 25-54 conducted by Sterling Brands and SmithGeiger in the third quarter, as well as 40 consumers’ mobile journals and a 32-consumer focus group. First off, brands should keep in mind consumers’ mentality when visiting mobile sites. They’re “task-oriented,” said Spero. Sixty-six percent of the consumers surveyed said they navigate to mobile sites through a search engine, and 79 percent said they’ll double back to the search engine if the sites they click on aren’t to their liking. In fact, they’re five times more likely to abandon the search altogether if they don’t like what they find. Fifty-five percent of respondents said a frustrating mobile experience hurts their opinion of a brand, but it’s more than a brand’s consumer sentiment that takes a knock. If the site isn’t mobile-friendly, 61 percent said they’ll take their attentions—and their wallets—elsewhere. However, if a site is mobile-friendly, 67 percent of consumers said they’re more likely to make a purchase. TicketNetwork, for example, saw its mobile traffic grow by 120 percent and mobile sales rise by 184 percent four months after launching a mobile site. So what’s a brand to do? Google asked consumers what actions they want take on mobile sites, and the good news for marketers is, all four of the top actions are lower-funnel. Seventy-six percent of consumers said they want to be able to find a company’s location or operating hours. Sixty-one percent said they’d like to click a button to call a company, and 54 percent would like the ability to send an email. And while the user may be visiting a brand’s mobile site, 53 percent said they’d like to be able to download its mobile app through the site. But consumers can find a company’s location, phone number and email address from a number of sites such as Yelp or Google+ Local. How a brand’s mobile site is designed or functions shouldn’t remind them of that. Instead it should be “quick and clean,” said Spero, so that they’ll want to use it in the future. In fact, 78 percent of respondents said more information from a mobile site should be only a click or two away, and the same percentage said the site’s search bar should be easy to find and use. While it should be obvious, 76 percent stressed that the site’s site should fit the screen. And although respondents emphasized the importance of a mobile-friendly site, 74 percent said they’d like the option to visit the non-mobile site if they want to. 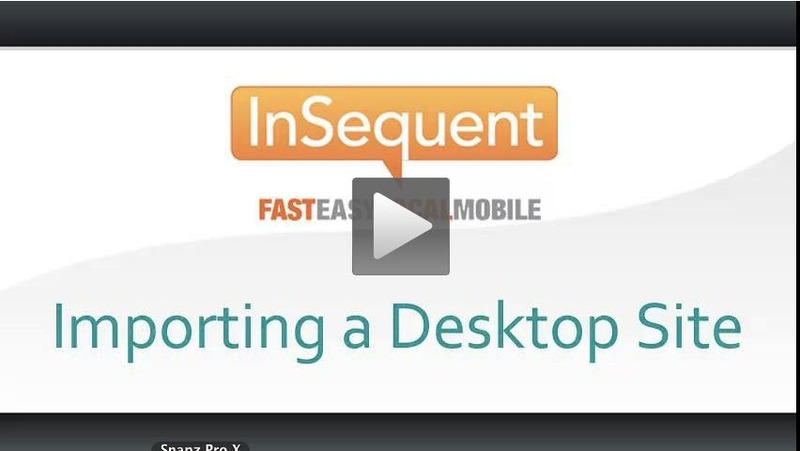 New videos on working with mobile sites now posted. Keep checking back as more being added each week. The first 3 of many to come are now live. At 2 minutes or less this is the quickest way to get step-by-step instructions on the many different tools on our platform. Anyone with a valid account can access the Resource Center. Check back often for more. Very interesting article. 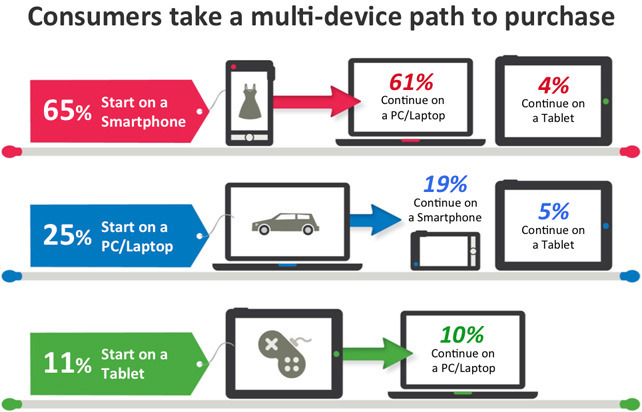 Mobile is an absolute factor in almost every purchase. Check out the above for a quick peak at our latest release and a brief video demo. 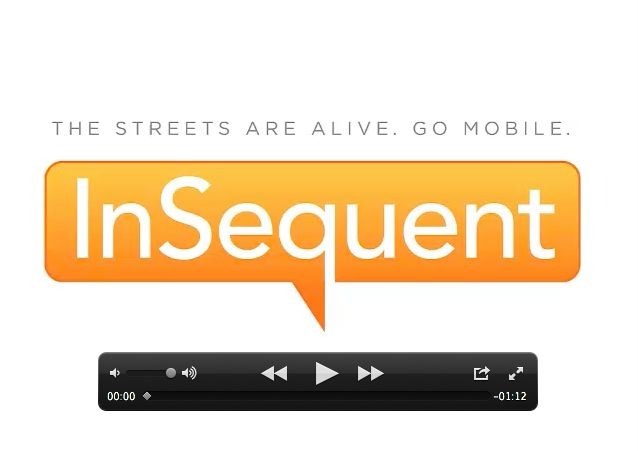 InSequent set to release v3.11. 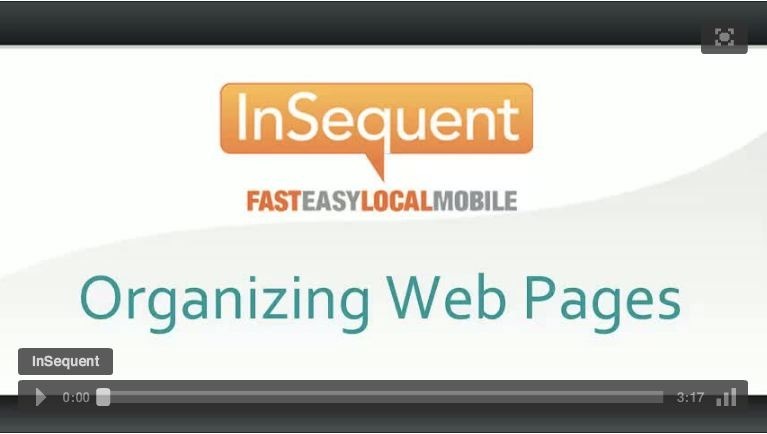 Instant #mobile website in under 10 seconds. Improved the speed and result of auto import. It only takes 10 seconds to create your mobile website now. Improved the find logo algorithm in 90% of websites. We also now import the colors from your website and improved our display content algorithm which will make your content look much better automatically on the first import. You will notice the difference immediately. Added “Auto-sync” option (you can turn it off) so you can continuously sync with desktop site. We’ve also improved the UI of the website editor and made other enhancements to speed and performance.